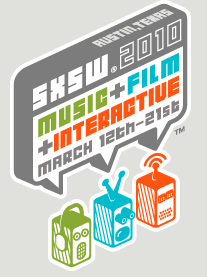 We’re two weeks away from the SXSW Interactive, a drinking festival with a side of tech that takes place each year in Austin, Texas (before the larger SXSW film and music portions). While the conference itself is interesting, more interesting is usually the “next big thing” that comes out of it. And I think I already know what it will be this year. Three years ago, Twitter famously was the talk of the conference (it won the web award that year). While sure, it didn’t explode into mainstream popularity until sometime later, the writing was on the wall for the early-adopters who started using it there or shortly thereafter. Two years ago, it was arguably Twitter again that was the must-use service throughout the conference as it continued to mature. But last year saw some new entries rise. Both Foursquare and Gowalla launched at the conference, with Foursquare gaining much of the momentum coming out of the conference (as some of us predicted). And this year, I suspect it will be largely an extension of that, with location services in general being the talk of the show. Based on what I’ve been hearing, basically at the major players in the location-based space have big things planned for this year’s SXSW. Foursquare hopes to have a new, completely overhauled version of its iPhone app ready for the event this year. They are also likely to have a huge batch of new badges for people to collect throughout the week. Meanwhile, Gowalla has a large event of its own, complete with special VIP access if you use the service throughout the conference. The SXSW conference is also highlighting the Austin-based Gowalla as a key tool on its own pages. A newer startup, Plancast (started by TechCrunch alum Mark Hendrickson — think “Foursquare For The Future“), has already put together a helpful unofficial SXSW guide surrounding events during the conference (and actually events for those who aren’t attending too). They also hope to have their iPhone app ready in time for the conference. Meanwhile, both Twitter’s and SimpleGeo’s plans are still largely unknown at this point, but both are planning big things, we hear. Twitter could use the event to launch its ad platform, and CEO Evan Williams is giving the keynote on Monday. And then, of course, there is Facebook . While they’re sniffing around Loopt right now, could they use the conference to talk a bit more about their location plans? If all these other services start getting a ton of buzz during the conference, they might have to. Of course, all of this is assuming that AT&T supplies any service whatsoever this year. Last year, the network was completely overloaded until the final two days after the telecom giant scrambled to up their bandwidth (and even then it was only marginally better). They promised that failure would never happen again (people in San Francisco in New York City may have something to say about that), so we’ll see this year. If AT&T fails again, it could really hurt a lot of these location-based services, many of which are heavily predicated around the iPhone. Otherwise, this is going to be location’s year at SXSW.